Our bodies are 70% water , our blood is 80% water. So what does that tell us ? We need copious amounts of water to stop us shrivelling up . What one of our customers said : I have brought your water bags before and they done wonders with my joints, cheers Dale. Think of it like this: Your body is similar to a fish aquarium. It also needs a constant supply of fresh alkaline water. We need a balanced PH so that our bodies can function properly. Most bottled and tap water is considered to be dead water because the minerals have been removed through the process of killing bacteria. 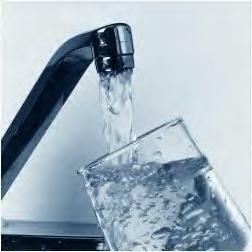 Even Reverse Osmosis water that most think is the best we can get, though it's clean , it is dead water ! AquaLyte is enhanced with Coral Calcium and 78 minerals that release alkaline into our bodies and flushes out the acidic build up from unhealthy diets. AquaLyte also removes the chlorine that damages the water in our body. If fish can not live in water with chlorine, do you want it in your body? The Coral Calcium in AquaLyte added to your water raises and helps balance the body's PH levels. Consumption of this alkalinized water also balances the body's acid/alkaline (PH) levels, bringing about many health benefits. People all over the world are benefiting with better health and living PAIN FREE simply by adding AquaLyte Sachets to the water they drink. It is the most inexpensive health product on the market today. AquaLyte uses “waste” Corals from Coral Reefs at Okinawa, Japan. AquaLyte Water Sachets are packaged in six sachets per foil pack. Each sachet will treat up to 2lts of water. For only AU$38.00 FREE post You receive 30 sachets . NO WASTE ! as used sachets can be dried and the contents sprinkled over your pets food, on your potted plants, added to worm farms, even sprinkled in your foods. Why not start today for a healthier tomorrow? Very simple... Place the used sachets in your pet's water bowl. Also you may want to break open sachets and sprinkle the granules into pet's water bowl and onto pet's food. Your pet will become healthier, more lively, eyes brighter, and happier too.